After a gorgeous village pub for lunch? We've found just the joint. We came, we ate, and we were WOW-ed! 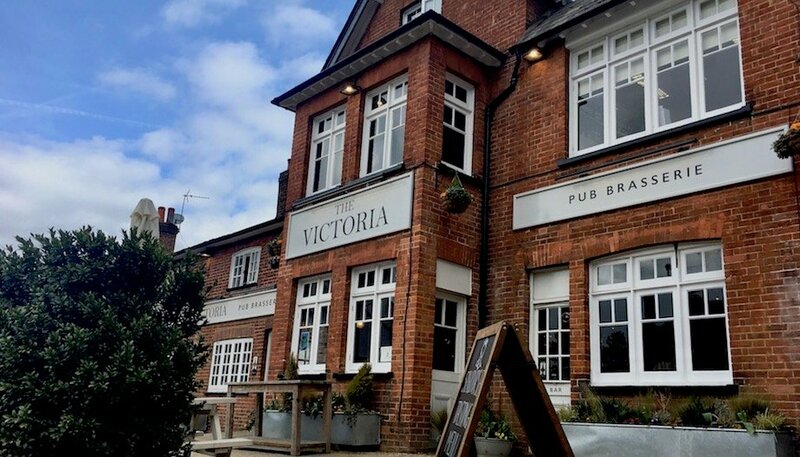 You’ll find The Victoria in the well-heeled village of Oxshott. 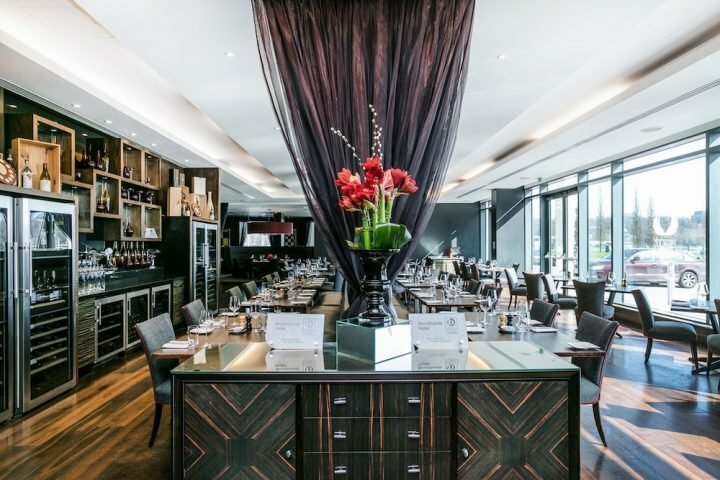 It’s part of the Whites Brasserie group, little sisters to Brasserie Blanc, Raymond Blanc’s more accessible answer to his Oxfordshire restaurant Le Manoir aux Quat’Saisons. Rather usefully, it’s right next door to the Surrey Hills Butchers, who provide some of the meats that go into the dishes here. 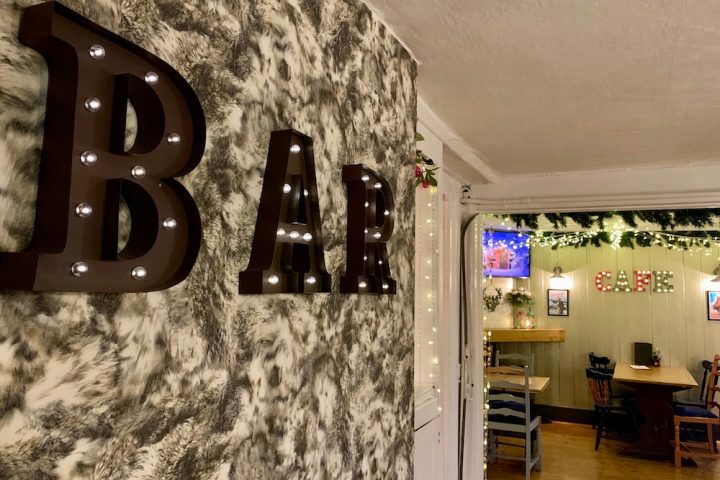 It’s worth noting there is no carpark attached to the pub, but the Steeles Laen carpark is a quick five minutes walk, and the pub will even reimburse you the cost – although at £2 for two hours, it’s hardly going to break the bank. I arrived earlier than expected – mid morning and the pub had some of the tables filled. By midday it was pleasantly buzzing with a mix of people – a group of six young women, businessmen, a couple of retirees and couples. 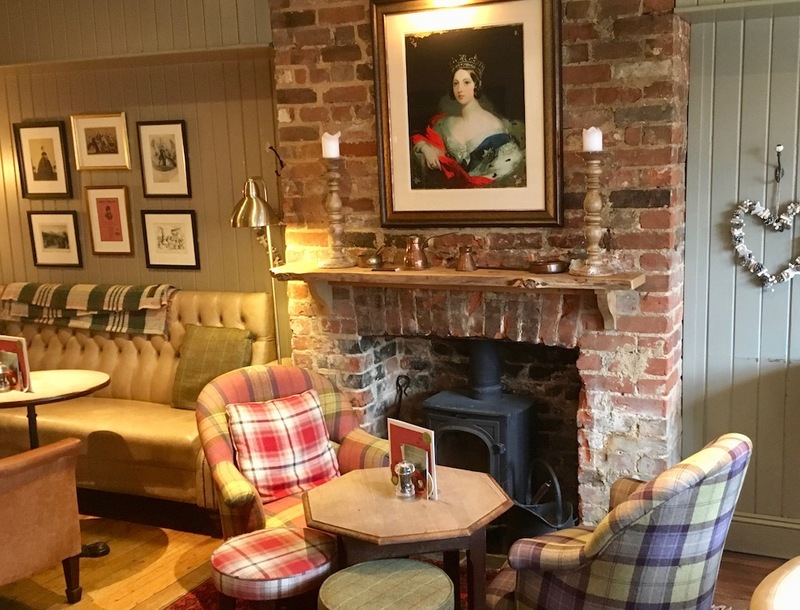 It’s a traditional pub with oodles of character – low beams, polished timber floors, slate tiles in the bar and open fireplaces. The bar area is a series of cosy nooks with comfy chairs and low tables. When I went it certainly wasn’t cold enough for the fires, but in the winter time is where I’d huddle. The main dining room bends around the bar, and leads to another dining room that would be perfect for private functions. Outside there’s a garden to die for, and it’s completely enclosed so there’s not chance the kids will wander onto a busy road! I went a few weeks ago – and the spring menu had just launched. For starter I went for the potted Cromer crab with avocado and prawn butter on sour dough toast. OMG!! 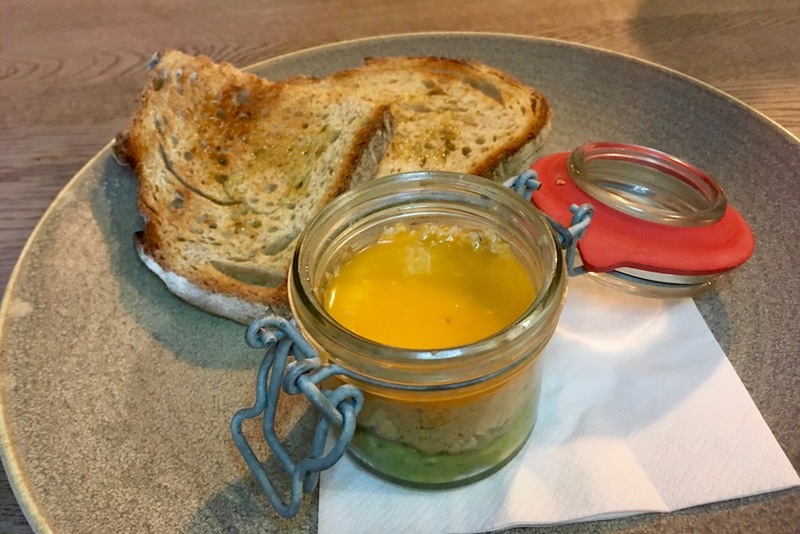 It was deliciously light with the crab and avocado flavours both coming through – I’d order this again. 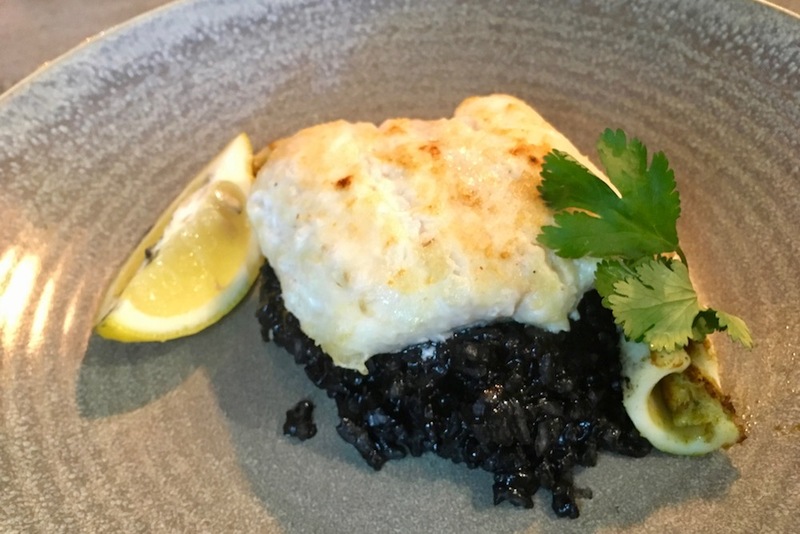 For mains I chose the grilled cod with preserved lemon, squid ink risotto and chilli squid. It’s a dramatic looking dish, with that jet black squid ink risotto – and the flavours combine well. Unless you like things really lemony, you probably won’t want to squeeze any fresh lemon juice onto this. For me the flavour of the preserved lemons were just enough. For puds I went for the zesty lemon tart, which came with Normandy soured cream. It was the perfect way to finish a lunch. Wine lovers will also like the Very Special Wine menu with its wines chosen from some on of the best vineyards in Europe and around the world. Fancy a bottle of £295 Cristal Brut? Or perhaps you’re rather the Californian Sanford Chardonnay (£48). Either way, it’s great to see a pub that takes its wines seriously. There’s also a six-course tasting menu – at £60 per person – but you’ll need to give at least 24 hours notice if you want this. Absolutely. For younger children there’s the Henri le Worm menu – giving them a choice of a main with a side dish and pudding for £6.95. Older children will want to order from the Pub Grub menu, featuring half portions at half the price on selected main courses. 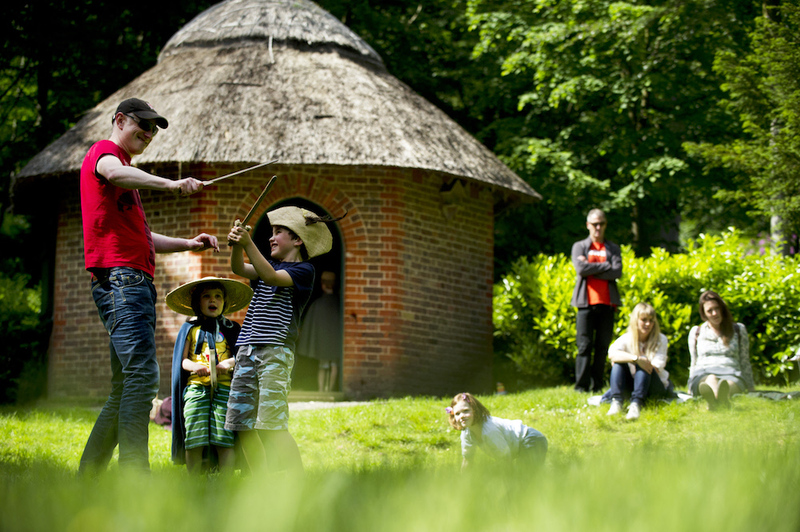 Chessington World of Adventures is less than a 10 minute drive down the road and The Victoria would be a great to round off your day there. 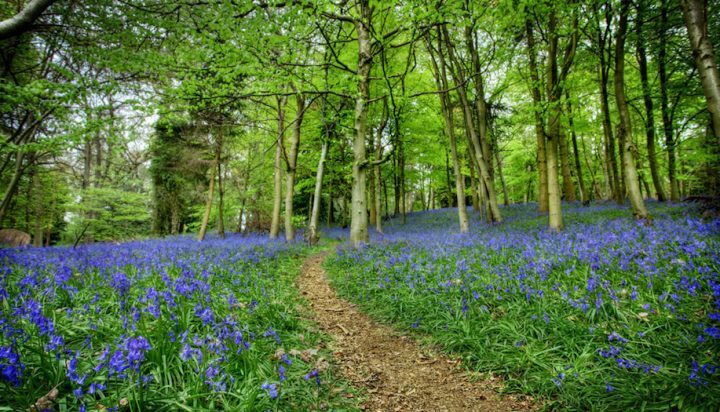 The National Trust’s Claremont Landscape Garden is also not far, again less than 10 minutes in the car, in nearby Esher. Good for: Pretty much anyone really. Families will feel comfortable here, couples, groups of friends, girly get-togethers, special occasions (go for the tasting menu and a bottle from Very Special Wines menu). 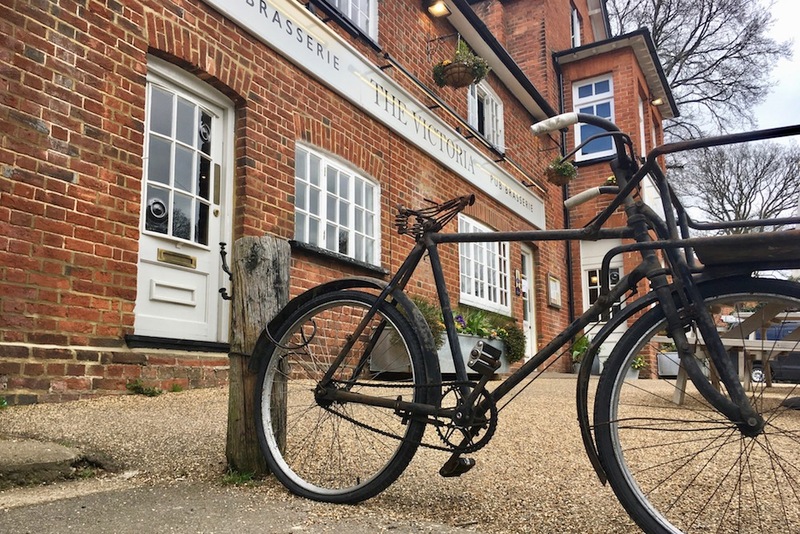 Not for: It’s a cute and classic village pub, albeit one with that has bags of style. But if you’re after a more starchy fine dining experience, I’d head somewhere else. The damage: Starters are from £5.50-£8.50, mains start at £12 for the roast butternut squash and bulgur wheat salad up to £19.50 for the slow-cooked shoulder and leg of roast suckling pig. The steaks are around £23-£25. Puddings are £5.9-£7.50. The June set menu is brilliant value – two courses for £11.95 (or three for £15.45 if you’re feeling greedy!). I’m a regular there, super pub!